Radiesse is a wrinkle filler that can provide a long-lasting correction of facial wrinkles and folds. Made with calcium microspheres suspended in a water-based gel, Radiesse is biocompatible, durable and easy to use. 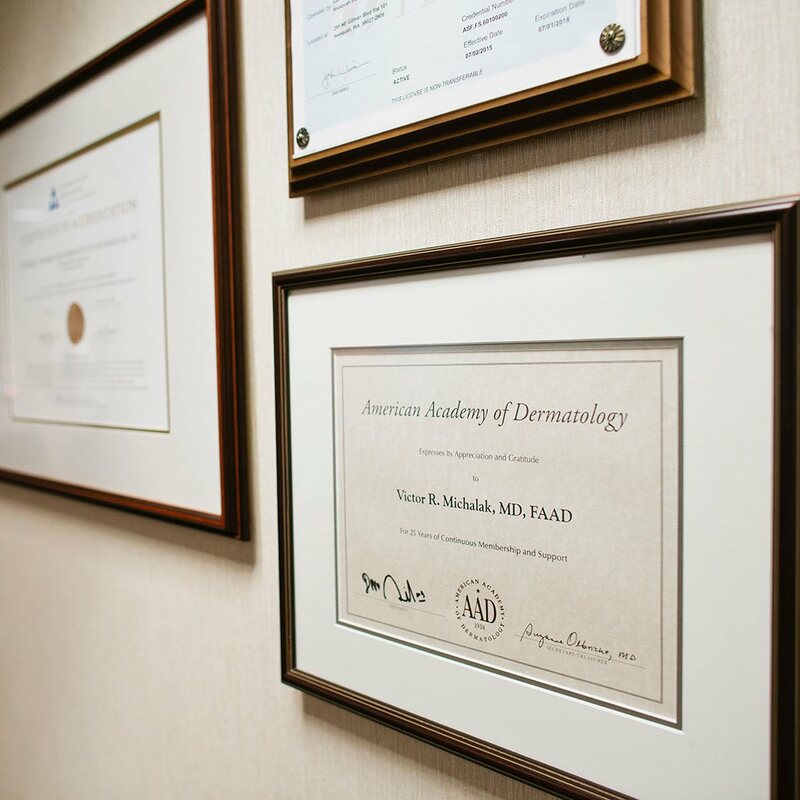 Radiesse is one of our injectables of choice at Cosmetic Surgery & Dermatology of Issaquah, along with several other wrinkle fillers and injectable treatments. Who Should Consider Radiesse Treatment? Radiesse is extremely versatile. Doctors have used it to reduce the appearance of facial wrinkles and folds, and also for a variety of treatments known as facial contouring. During a consultation, the doctor can determine if Radiesse is the right product from your wrinkle treatment. The area to be treated is cleansed and, if necessary, a small amount of topical lidocaine or ice is applied to numb the tissue. Using a fine needle, Radiesse is injected into the subdermal plane using a special technique. The injection immediately corrects the contour depression. Dr. Michalak may perform a brief massage to promote a smooth result. The correction should endure for about one year after your treatment. Your body will slowly metabolize the filler and clear it away. Most patients return for a touch up after about 12 – 18 months. If you experience swelling, the doctor may advise you to elevate your head and apply ice. Side effects are uncommon with Radiesse, but may include redness, itching and bruising after treatment. Do you have questions about Radiesse Seattle? Contact the office of Dr. Michalak at Cosmetic Surgery and Dermatology of Issaquah for more information on injectable fillers like Radiesse. Please dial 425-391-2500 extension 7 for Carolyn, our cosmetic patient coordinator.